Home / All Posts / News / Sir D.B. Jayatileke’s Last Will… His Legacy – The Office of Public Trustee! Sir D.B. Jayatileke’s Last Will… His Legacy – The Office of Public Trustee! On the corner of Bauddhaloka Mawatha (once known as Bullers Road) and Bullers Lane, lies Thurban House. For many years, it stood, unassuming, and for many people, almost lost in sight. This was until Sanath Weeratne, the Public Trustee, started refurbishing it. This year, they unveiled a statue in front of it. It was the statue of Sir D.B. Jayatilaka – this year was his 150th birth anniversary and tomorrow (29) will be his 74th death anniversary. Thurban House, once owned by Sir D.B., was his prized possession, said Weeratne, and in his last will, he left the house and his close to 100-acre coconut estate in Dodangaslanda, called Pitakanda Estate, to the Public Trustee to manage. More importantly, he insisted that the Office of the Public Trustee as long as it functions in Sri Lanka, functions from his house. “If not for Sir D.B., we would not be here today, literally,” said Weeratne. The life and, perhaps even more, the death of Sir D.B. Jayatilaka has been closely entwined with the Office of Public Trustee. In the 76 years he lived, Sir D.B., an educationalist, scholar and statesman, came to be a trailblazer for many who came after him. 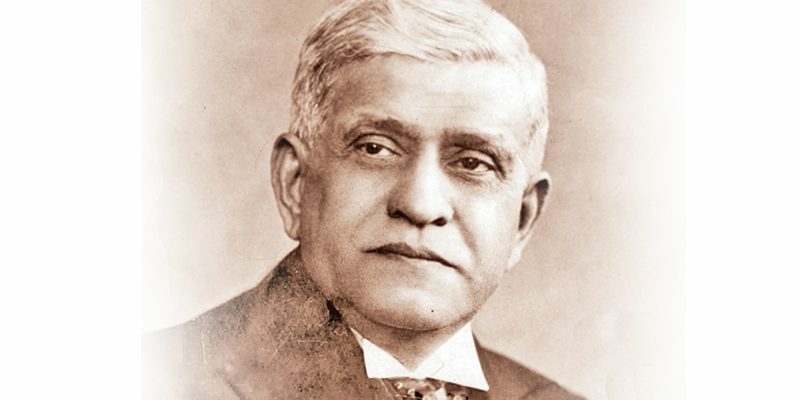 He was the first Sri Lankan Vice President of the Legislative Council of Ceylon; the Home Affairs Minister and Leader of the House of the State Council of Ceylon; and the first Representative of the Government of Ceylon in New Delhi. An ardent scholar of Buddhism, he founded the Young Men’s Buddhist Association (YMBA) and helped uplift Dharmaraja College, Kandy and Ananda College, Colombo, during his time as their principals. More importantly, according to Weeratne, he was a key personality in the establishing of the Office of the Public Trustee and was one of the first to donate his property to it. The Public Trustee today manages 1,100 wills and over 54 estates and trusts, but it all started with the last will of Sir D.B. Public Trustee Sanath Weeratne reads Sir D.B’s last will. Great insight into a man’s life can be obtained through the reading of his last will. It embodies who he is and what he treasures most. And more importantly, what he would like his legacy to be. “I have seen thousands of wills in my time as an attorney and now as the Public Trustee, but Sir D.B.’s last will is truly one of the most remarkable,” said Weeratne. Sitting in his office at Thurban House, he explained how Sir D.B. had described what he wished done with his assets to the very last detail, including his clothes. “I direct the Public Trustee to sell all my wearing apparel and to apply the proceedings for charitable purposes in his discretion,” said Weeratne, reading from Sir D.B.’s will. The date of Sir D.B.’s his last was January 4, 1933, three years after he was elected from the Colombo District to the Legislative Council of Ceylon and then appointed as its Vice President – the highest post a Ceylonese could hold in the Legislature at the time. It is unusual for a politician to leave his prized assets to the state as soon as he is elected to government, but this reflected a rare trait of committing oneself completely to the service of one’s country. Further, he nominated the Public Trustee as the sole executor of his will, disbarring all others to question the discretion and authority of the Public Trustee when executing it. “It is amazing to see how the Public Trustee has been such given a lot of authority,” said Weeratne. “So he donates his entire library to the YMBA and he says that as long as the person holding the position of secretary of the YMBA issues a receipt, that person has the obligation of Public Trustee. That shows the faith he had not only in one institution, but all other associations,” said Weeratne. 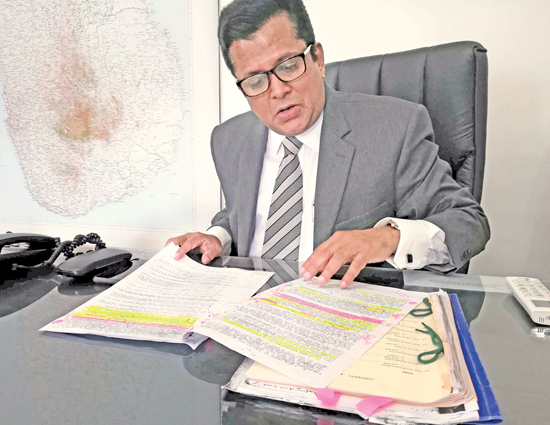 His most prized asset, Thurban house which sits on 30.5 perches of prime land in Colombo 7, he wanted to be used as the Office of the Public Trustee in Sri Lanka. “He built this property on his own. His relatives say he built it between 1928 and 1930. Very soon this will be a heritage property when it reaches 100 years,” said Weeratne. The bricks for the house had come from his family kiln in Kelaniya and according to records at the Public Trustee, he had taken an annual insurance premium of Rs. 50,000 on the house from an insurance company in England. The story goes that Sir D.B. named his house Thurban House after a name he picked up during his time at Oxford University. Perhaps it was after Thomas W. Thurban, the first violinist in the orchestra of the Oxford Music Hall in the 1930s. Have we held up our end of the bargain? According to A.A. de Silva’s book Lives that Inspire, Sir D.B., “came to politics without some of the advantages most of his contemporaries had over him. D.S. Senanayake who went on to become the first Prime Minister of independent Ceylon was Sir D.B.’s deputy. He took ill in 1944 and on May 29 of that year, as he was being flown back to Ceylon, he passed away with the last words, “Are we in Ceylon?” His plane was still over Indian waters. Famous businessmen and philanthropists from Sir D.B.’s time, inspired by his actions, had followed suit and donated their own prized assets to the Public Trustee. Weeratne explained that figures like Gate Mudaliyar N.D.A. Silva Wijesinghe, T.S.W. Samarakoon, C.E. Wanigasooriya, J.E. Jayasuriya, M.J.C. Chandrasekara, U.B. de Silva, and Harry Hapugoda were all prominent figures who donated their assets to make the Public Trustee’s office what it is today. “Sir D.B. set the momentum,” he said. The Office of the Public Trustee, similar to Sir D.B., had started off with all the right convictions, but in a corrupt system, over the years, it too had succumbed. The building, almost a reflection of the current political system, is worn down, with very little having been done to upkeep its stature as well as its structure. “Whoever who holds the post of Public Trustee has the obligation to maintain the property, because we get a rent of Rs. 895,000 per month from the Treasury for the building. In addition, we get an income from the coconut estate,” said Weeratne. In February of this year, his relatives at their own cost, built a statue of Sir D.B. Jayatilaka in the front lawn of Thurban House in honour of him. 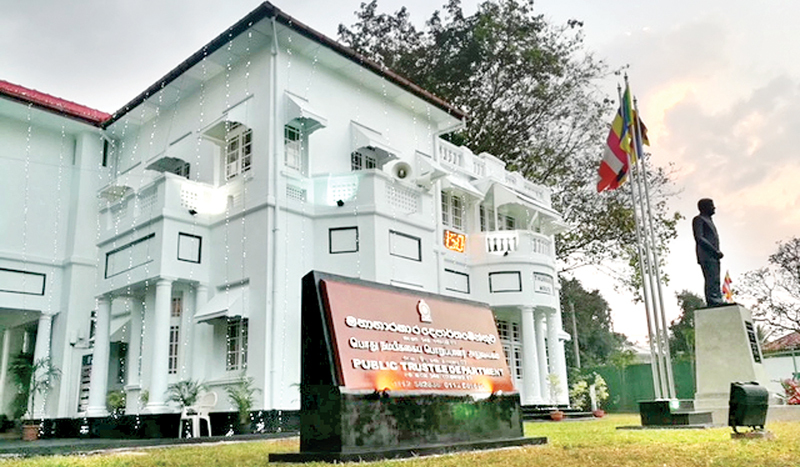 Public Trustee’s Department at Bauddhaloka Mawatha. The bigger task of instilling faith in the system, however, would be an uphill task. Last year, Weeratne found that the last wills of 254 people between 1931 and 1992 had not been opened. Unlike Sir D.B., their wishes had not been carried out. Legal action was instituted to open these wills and Weeratne has the uphill task of resolving the legal quagmire to ensure that the objectives of the wills are met. “We manage it all with a full cadre of 87 officers. It is a very difficult task, but we are doing it because that is our mandate,” he said. Interestingly, some of these processes also include Sir D.B’s own will.